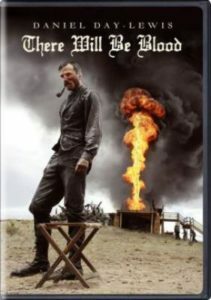 Written and directed by Paul Thomas Anderson, There Will Be Blood was inspired by Upton Sinclair’s novel Oil! Daniel Plainview (Daniel Day-Lewis, who won an Oscar for his leading role) is a self-made oil baron in the booming California oil industry of the early 1900s. Daniel is a cold man with morals that only serve his best interest, success and money being the only two things he cares about. When Daniel discovers a large oil deposit underground in the small town of Little Boston, conflicts arise, both with his family and the citizens of the town, including a very devout and self-serving preacher boy named Eli (Paul Dano). There Will Be Blood is a very dark film, as Daniel Plainview’s road to the top of his industry is littered with immorality and dishonesty. Despite the darker tones of the movie, the film itself is gorgeous. It’s no surprise that it won the Oscar for Best Cinematography, as the beautiful shots and sequences in the barren desert landscapes help to tell the story just as much as the wonderful writing.